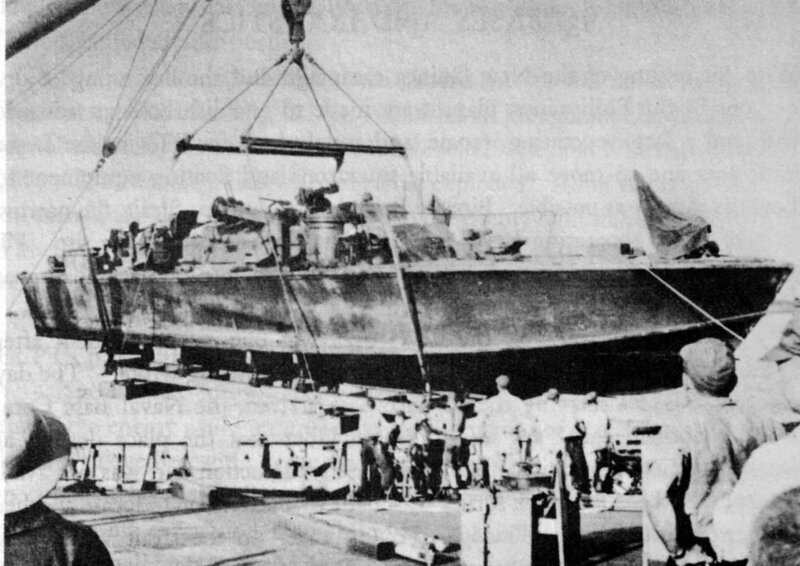 Laid down, as SS Cape Farewell, a Maritime Commission type (C1-A) hull under Maritime Commission contract (MC hull 891) at Pusey and Jones Corp., Wilmington, DE. 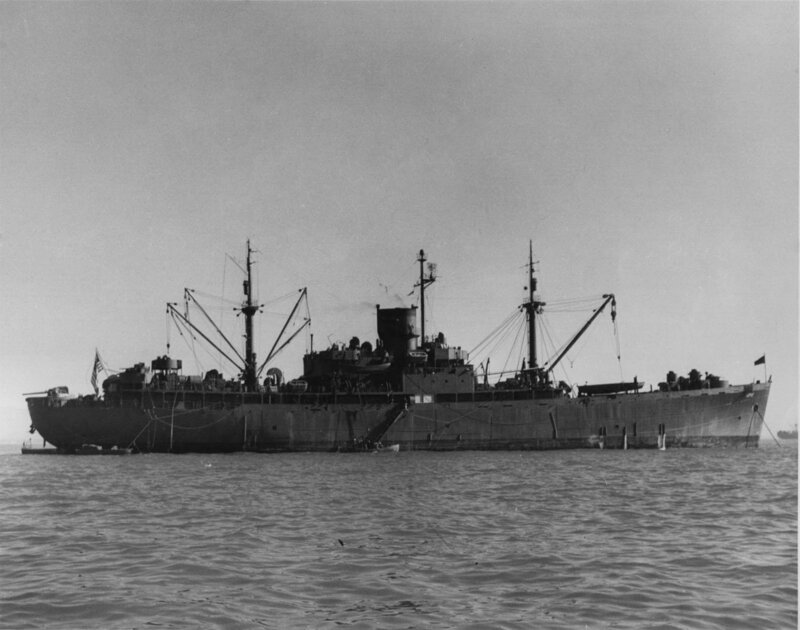 Decommissioned, 2 July 1946, and transferred to the Maritime Commission the same day for lay up in the National Defense Reserve Fleet, Suisun Bay, Benecia, CA. 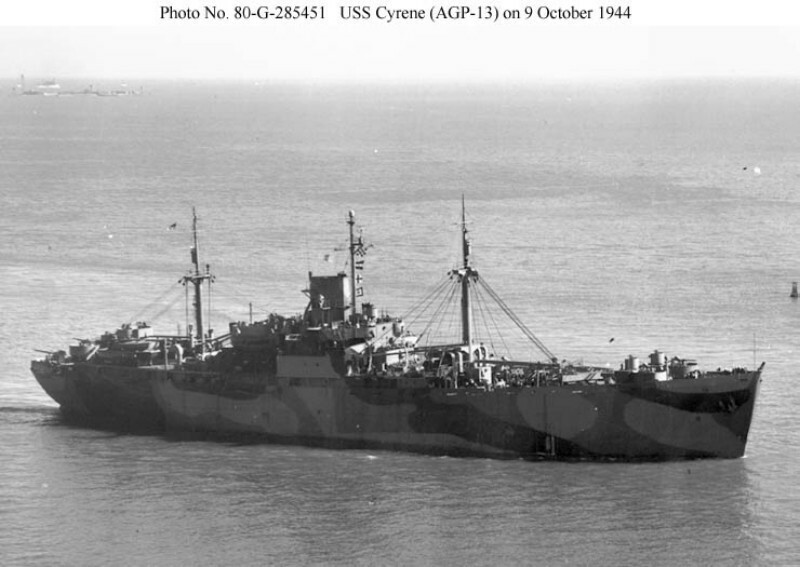 Largest Boom Capacity 50 t.
83k USS Cyrene (AGP-13) underway, 9 October 1944, soon after completing conversion. 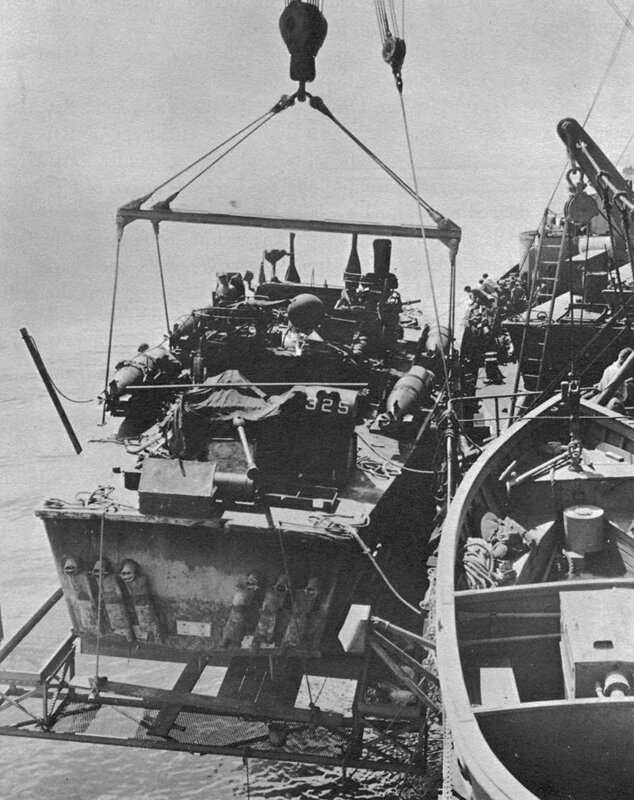 245k USS Cyrene (AGP-13) lifts an unidentified PT boat aboard for major hull repair, date and location unknown. 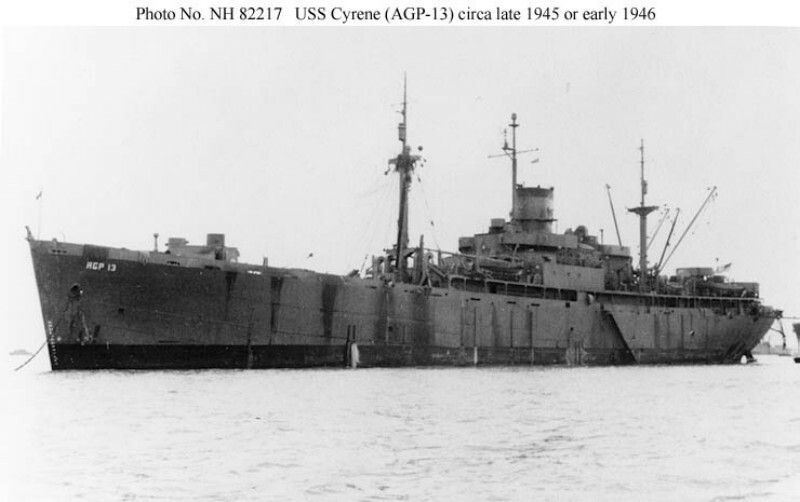 58k USS Cyrene (AGP-13) moored to a buoy in San Francisco Bay circa late 1945 or early 1946.